Struggling lawyers? Here’s a billion of YOURS to keep THEM going. TIMES ARE TOUGH – we all know it. 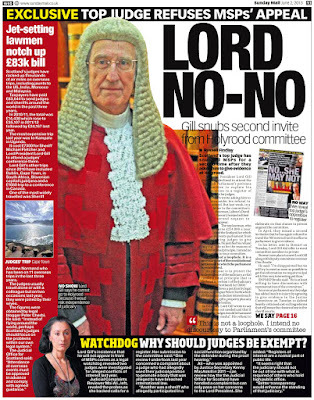 Not for Scotland’s legal profession though, as the latest figures released by the Scottish Legal Aid Board (SLAB) show another £150.5 million of public money sliding into the pockets of ‘struggling’ Scots lawyers on the premise of keeping the already buckled wheels of Lord Gill’s “Victorian” justice system turning. Feeling poor? Have no fear, as ‘struggling’ lawyers hankering after a second estate car, a chance to buy fishing rights, send their own kids to posh private schools, or in need of a third buy-to-let property stuffed in the name of some fictitious client … need not worry as the Billion pound Bank of Legal Aid funded by taxpayers is there to help them out. It is of course, time for the annual announcement of taxpayer funded hand outs to struggling lawyers, meaning, if you haven’t been keeping track, around ONE BILLION POUNDS of public money has been thrown at Scotland’s ‘struggling’ legal profession in the years since the 2008 financial crash. Go back a few more years, and it’s a billion more. Add to those billions the hundreds of millions over the years spent on lawyers by the Scottish Government and a vast range of law related quangos, the courts, rich judges wallowing in offshore tax dodges & undeclared investments, dodgy prosecutors, public service crooks, spivs and even top cops over the years, another billion can join the total. And for what exactly? To keep the wheels of justice going and prevent injustice? Not likely. 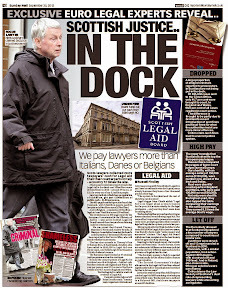 BIG SPENDERS: Spot your solicitors & law firms who take home the legal aid pounds. From total figures of £150.5 million, spend on civil legal assistance was £47.8 while criminal legal assistance was a mere £94 million. Children’s legal assistance stands at £4.9 million. Payments to solicitors increased by 1.7% from £115.1 million to £117.1 million while payments to advocates fell by 21% from £18.3 million to £14.5 million. Payments to solicitor advocates fell by 4.2% from £4.5 million to £4.3 million and expert witnesses along with ‘court reports’ raked in £19.5 million of public money. Speaking about the release of this year’s figures, Iain A Robertson CBE, Chairman of the Scottish Legal Aid Board, said: “This is by far the most challenging time for legal aid in Scotland since my appointment. The continuing pressure on public finances has led Scottish Ministers to seek further savings and efficiencies in legal aid expenditure, and legal aid must play its part in achieving savings alongside all other public services. 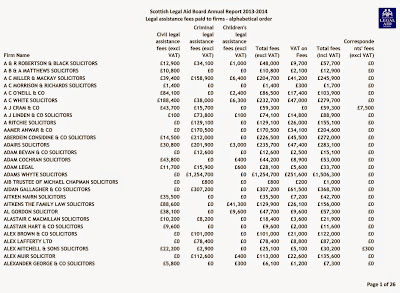 Among the list of regular legal aid recipients, readers should note all those ‘top notch’ Edinburgh law firms who tell clients they refuse to do legal aid work just so they can extract higher fees for doing the same work. But, sure, there are a few law firms who do their clients proud on legal aid, and a few solicitors who are actually human beings. At least two or three, anyway. But the system of legal aid grubbery and the results it delivers, mostly for drug dealers, embezzlers, ex prosecutors & court staff on criminal charges, and of course, murderers, hit-men and dodgy businessmen is not really worth £150 million a year, to the community, is it. Not really. The flip side of the argument. Well, solicitors will say the £150 million a year sub is, of course, about providing justice and therefore worth it for lawyers. 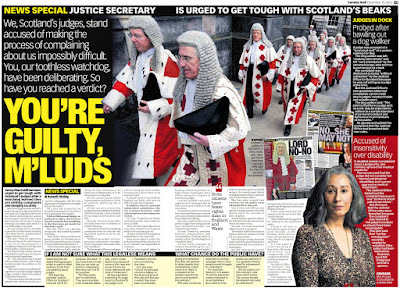 Worth it so much, a bunch of lawyers once surrounded the entrance of the Scottish Parliament and loitered around in the rain outside Edinburgh Sheriff Court, blocking the doors of courts holding placards begging to ‘save justice’. However, everyone outside the legal bubble who witnessed the spectacle knew the posters really meant “Axe Nurse First”. Legal Aid is not about justice or providing access to justice, is it. It’s about money for the legal profession. So Kenny MacAskill has given his buddies over a billion since he became justice minister.No wonder the Law society likes him. A disgusting waste of public money. Gives new meaning to the phrase the bucket list! Legal Aid sharks should be in the bucket! I wonder how much of this is being skimmed off by the judges? ?They have the power to make cases go faster but dont do it so the lawyers have to keep going back to court and claiming more legal aid! "Of 265,830 cases sent to the Crown Office, only 41.7 per cent were brought to court. 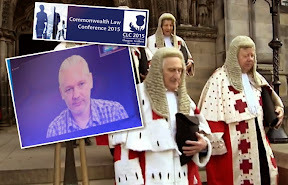 In England and Wales, 90.6 per cent of all cases resulted in court action." 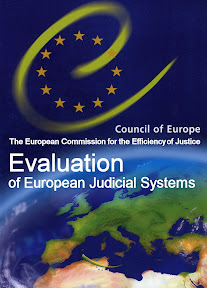 This says it all really, value for money?, worth more to the taxpayer in terms of judicial salaries and expenditure than most other European countries? Odd because a friend of mine who asked them to take a case on was told they do not do legal aid..
"Axe nurses first" the chant of greedy lawyers! 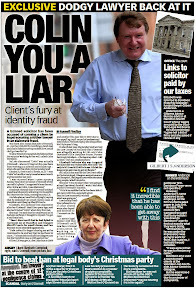 How do you maintain constructive relationships with liar aid lawyer out to fleece their clients? You should tell us who these 2 or 3 legal firms and human lawyers are so we can all use them! Perhaps when we no longer have a "Victorian" justice system that is "outdated, expensive, unpredictable and inefficient". Perhaps when MSPs are no longer prepared to tolerate, foster and protect a system whose "delays are notorious, whose costs deter litigants whose claims may be well founded, whose procedures cause frustration and obstruct, rather than facilitate the achievement of justice." 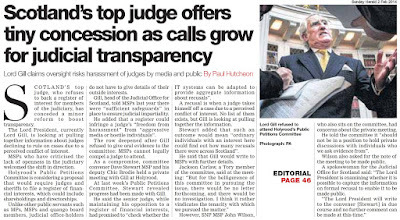 Perhaps if the Scottish Parliament will finally confront the Law Society of Scotland, its notorious insurance provider Marsh, and their stranglehold on the Scottish Public's access to justice. 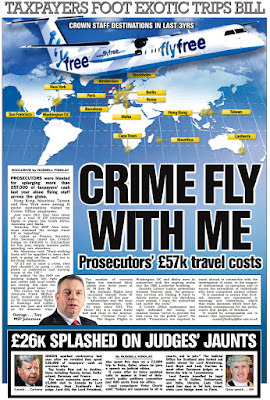 Perhaps if MSPs legislate to prevent Sheriffs and Judges traveling the world at additional cost to the taxpayer when they should be in Court, perhaps then we might begin to see a cost effective and efficient system that can no longer be compared to that of "a Banana Republic". 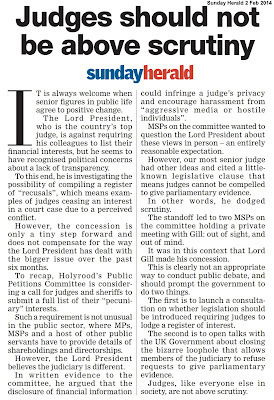 As long as Scotland's MSPs are content to see their constituents and 'individual litigants prevented from securing their rights, and public confidence in the judicial system further eroded' a long discredited and dysfunctional system will continue to 'fail society and put economic development at risk'. THE BUCK STOPS AT HOLYROOD. 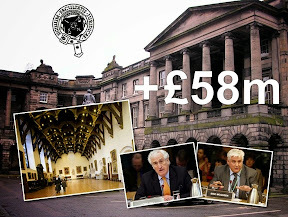 An outrageous waste of Scots public money and why the hell are we keeping lawyers afloat when the rest of the country needs help! Looks like everyone is getting to dip their hands in the till except joe public who is paying for it all. 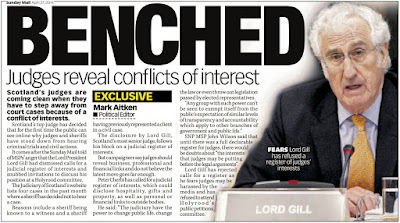 All the while Lord Gill was charming us with his civil court review his buddies in the legal establishment were ripping off taxpayers for billions. 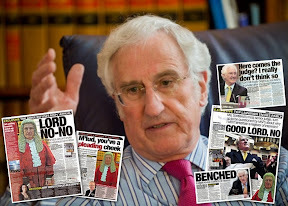 Nice one m'lord.Notice you fail to condemn all this public money spent on lawyers which could be better spent on nhs and doctors etc how about schools too instead us having to prop up lawyers sending their kids to lawyer school! no not really worth it! Wow this is going to rub the crooks up a little! If this is paying lawyers not to commit crime it is obviously not working because they are ripping everyone off including taxpayers. 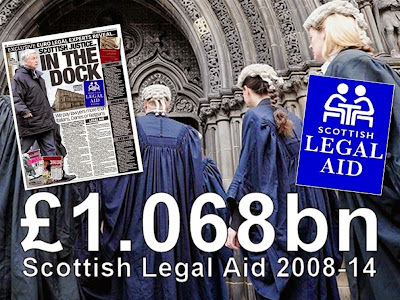 £1 billion in legal aid for a country the size of Scotland is just madness. Does this mean that the Police reported known crooks to the Scottish Crown Office and the swept 58.3% of cases under the carpet? 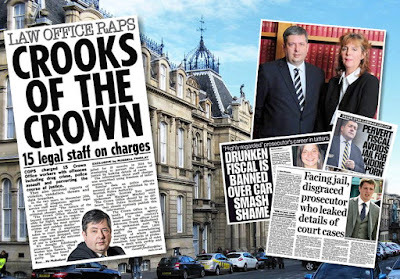 I wonder how many cases swept under the carpet were for crooked Scottish lawyers that they routinely let off from jail and set free to continue their careers of crime against the Scottish Public? 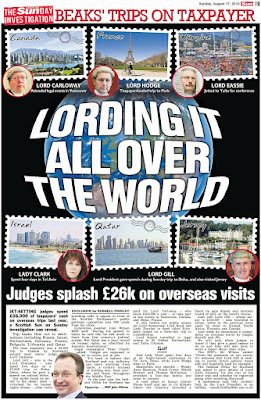 Is it any surprise that we have an anti-transparency Scottish Judiciary who travel the world by First Class champagne Class travel and are paid the highest of all Judges in Britain, when they have been raised in an environment where if your face fits (and you acquiesce to the Law Society of Scotland's corrupt practises) then you are rewarded with Free Cash for nothing from the Scottish Tax Payer via the institutionally corrupt Scottish Legal Aid Board funding, which the Scottish lawyers refer to as their Boarding School Fees Rebate? 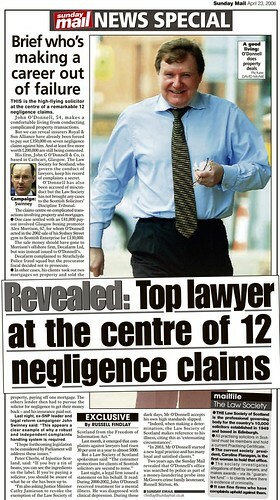 Anyone know what % cut MacAskill was on from the Law Society of Scotland? 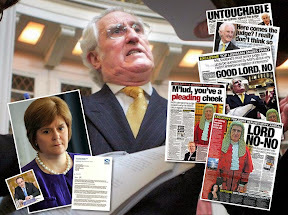 Mr Cherbi, you are the Flower of Scotland and the People of Scotland are indebted to you for exposing this tyranny. Odd this, especially when you consider that the Law Society of Scotland's own lawyer is Balfour Manson Solicitors? Oh, did I stumble upon something? Maybe all of these inflated fees have come about where the Law Society of Scotland have instructed their own lawyers (Balfour Manson) to represent known crooked Scottish lawyers to crooked keep them out of jail, where the Law Society of Scotland instruct the SLAB to give their lawyers Balfour Manson any amounts of cash that they want for doing the dirty deeds behind the Public's back to subvert justice? So, the Scottish Crown Office dump approximately 155,000 cases in the bin. 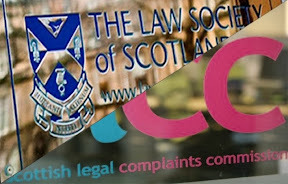 We already know that the Law Society of Scotland have reneged on their Memorandum of Understanding with the police, where they promised to report crooked Scottish lawyers to the police. 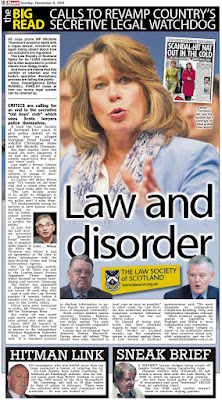 We know that the Law Society of Scotland completely usurp the police and the Rule of Law and instead they creep off to negotiate with the Scottish Crown Office to let the latest in a long line of crooked Scottish lawyers off Scot Free. Of course, this collusion is defeating the ends of justice. So how do they get away with such heinous crimes. 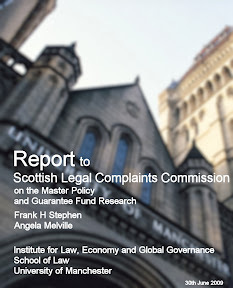 Simply by hiding all bona fide complaints against crooked Scottish lawyers in amongst those other crimes (amongst the 155,000) cases where the refuse to prosecute. A horrid thought all this money has been thrown at lawyers while everyone else ordered to save and make do.Obviously the lawyers refused to make do and did their protests to get their money again £150million this year and why is it allowed to happen all the time they get everything and it seems to be okay but not for the rest of us of course and also as you say they get this £150million and then go off and rip off their clients again and again and get away with that too.Horrible. Yeah it was funny watching Austin Lafterty & his colleagues waving posters about justice over the legal aid dispute.Maybe the liwyers would get more reaction if they walk round with a poster saying "We got £1 billion from YOU in 6 years and there is bugger all you can do about it"
About time all public money going to lawyers IS STOPPED. Taxpayer subsidies for the legal profession and yet they go around getting themselves off the hook from every crime imaginable. Just think what Scotland could have done with the £1bn instead of throwing it at a bunch of rats. I overheard a heated conversation on the train this morning between two staff members of the Trading Standards Scotland Office. They were arguing over the commonly referred to description of Scottish lawyers and were arguing over which one is the most appropriate to be used in the current circumstances. One said Scottish lawyers should be allowed to be called Professional Liars and the other one vehemently argued that the word "Professional" should be removed. 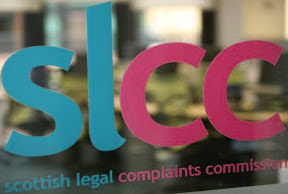 A call for "root and branch change" to the legal aid system has been made by the Law Society of Scotland. The body has published a discussion paper to generate debate on how to improve publicly-funded legal services. It said the current system was no longer fit for purpose. Last year, the Scottish Parliament passed new legislation which means some accused people have to pay towards their defence costs, with lawyers responsible for collecting the money. The Law Society said the legal aid system has not kept pace with reforms to the wider justice system. The discussion paper has suggested a number of possible change - although it conceded not all of them will attract "universal support from the profession". It suggested reducing the eligibility levels for civil legal aid "to ensure that public funds are focused on those most in need", along with introducing "affordable legal assistance loans", which would be provided through the Scottish Legal Aid Board (SLAB) to help people with legal expenses. The Law Society suggested that savings made should be reinvested into the legal aid system, while the block fee system for criminal legal aid should be streamlined. It also proposed that changes to the system should be used to encourage the early resolution of cases. 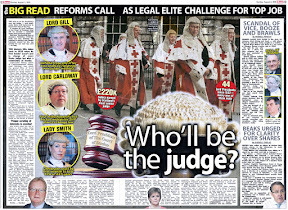 Adam Morris, president of the Law Society of Scotland, said: "The current legal aid system is almost 30 years old. In that time there has been extensive change which has resulted in a system that is hugely complex, with even highly-experienced solicitors reporting that they find it difficult to navigate. "We don't believe that the current system is fit for purpose and, with the ongoing reforms to modernise the wider court and justice system, the time is right for root and branch change. "We need to rethink legal aid as a whole and look at where efficiencies can be made and how savings can be reinvested to ensure that people can obtain legal advice when they need it most, regardless of their status or wealth." The Law Society published the discussion paper days after SLAB chairman Iain Robertson warned savings would need to be made to the legal aid bill - which was just over £150m in 2013-14. 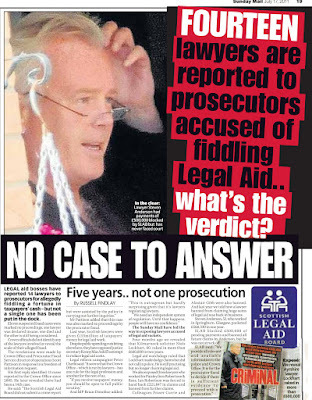 "This is by far the most challenging time for legal aid in Scotland since my appointment," he said. "The continuing pressure on public finances has led Scottish ministers to seek further savings and efficiencies in legal aid expenditure, and legal aid must play its part in achieving savings alongside all other public services." 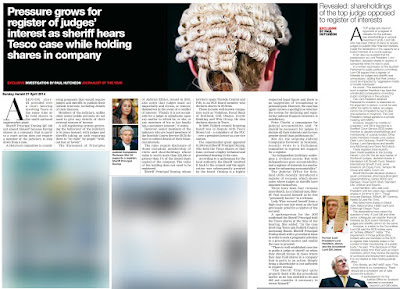 In its paper, the Law Society said the "legal aid landscape has changed substantially" since being established in 1986, with the Legal Aid (Scotland) Act. "The existing system lacks clarity, is inefficient and is administratively burdensome. 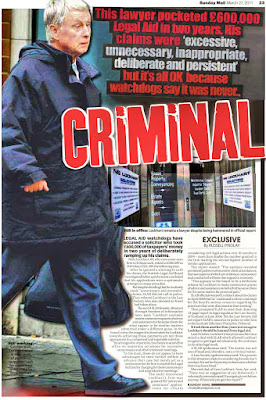 It leads to unnecessary time and resources being spent by SLAB and solicitors at every stage of the process," it said. Ian Moir, convener of the Law Society's criminal legal aid committee, said: "We are becoming increasingly concerned about the real term decline in expenditure on legal assistance which has been ongoing for years. "We believe that re-investment of efficiency savings into legal assistance can deliver savings to the justice budget, to public services, the wider economy, and add value to both clients and communities." 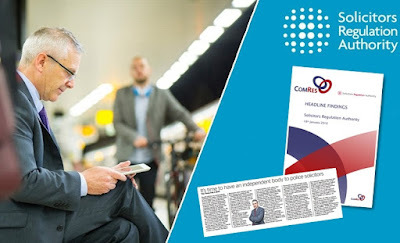 Mark Thorley, convener of the Law Society's civil legal aid committee, said he hoped the paper would "generate discussion" among solicitors and others. He added: "We recognise that in a challenging financial climate, there are ongoing pressures on public spending and that there are no easy solutions." 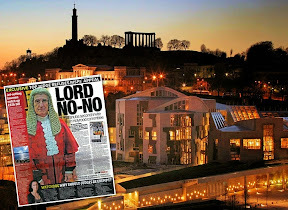 It is almost like the Law Society of Scotland control the SLAB fund akin to Quantative Easing for Scottish lawyers, whereby Scottish lawyers' Practises are continuously pumped to overflowing with FREE CASH to keep them in an artificially benefited financial position, so that they can continue their lives of excess, greed and profligacy, whilst serving no man. Your blog and this post on legal aid getting a lot of mentions today at work.LSoS very upset with you!Apparently you are "difficult to control"
Its a team effort, and the real flowers of Scotland are the wider community, the victims of injustice and widespread corruption in the legal system. Cant get away from it, it's a Billion since 2008 which could have been better spent on ordinary Scots. Diary of Injustice only refer on cases to law firms who have a history of honesty and willingness to assist litigants. Any cases put to Diary of Injustice are vetted for authenticity before being handed over. DOI is a media blog on law & legal matters in Scotland.For the avoidance of any doubt whatsoever there is no financial relationship between DOI and any law firm, only a willingness to assist persons with valid cases in obtaining their right to a fair hearing and securing justice. 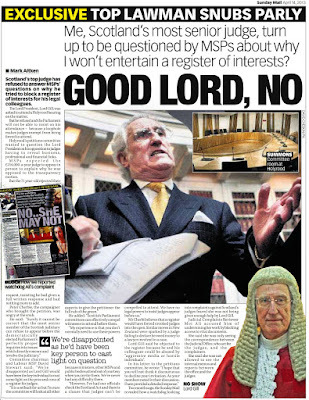 Poor Law Society.Such a shame about media being "difficult to control"! 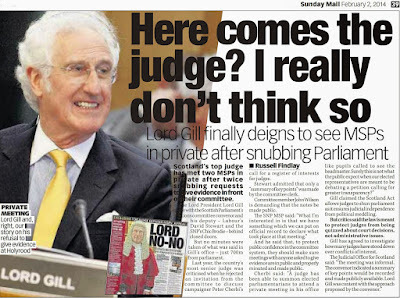 Impressive.I am sure the Law Society will say it is just a coincidence but after reading about what Lord Gill did to avoid your parliamentary petition it is obvious the Law Society are reacting to you. The big give away in this sick fraud is that every year it comes in at £150 Million. This shows very clearly that we are not talking about supplying the demand for people who need Legal Aid because that figure would vary widely year to year. 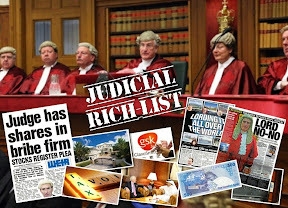 What we have is a cash grab by greedy lawyers to get their hands on the Public's Cash because they get given £150 Million every year from the Law Society of Scotland as free money. 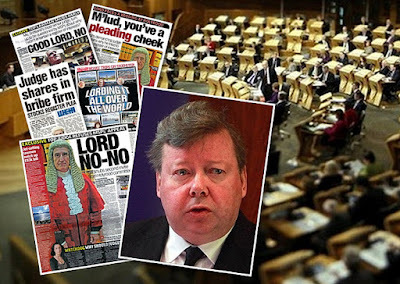 The Scottish Tax Paying Public is funding the greedy back-slapping lifestyle of a bunch of money whores, who then look down on their clients and then do-them-in the first chance they get and then wave the cash in their face saying, tough luck, we get paid whether you win or lose. See the money. Feel the money. It's all mine! Only a Scottish lawyer would get away with having this kind of stinking, sick attitude. You know this is fraud because the 'Assisted Person' i.e. the person qualifying for Legal Aid never ever sees a penny of this money or ever gets to see any Fee Notes or ever get's to approve of any payment going to these crooked Scottish lawyers? 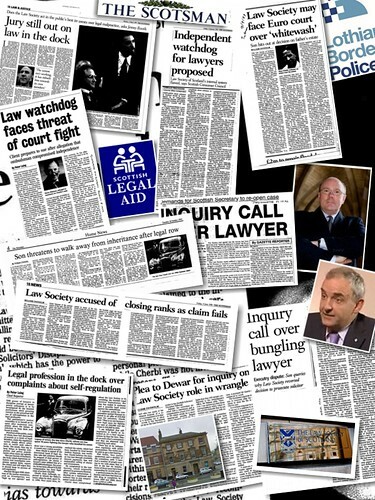 The Law Society of Scotland have fixed it that the client is kept totally in the dark and the SLAB never ever contacts the client to ask them to vouch for the number of meetings, or hearings that the crooked Scottish lawyers have put in for, thereby leaving the crooked Scottish lawyers to be trustworthy as there are no checks and balances? A similar situation to the Scottish Judiciary's expenses scandal? The Law Society of Scotland have a nice little cartel fraud on the go, where nobody is allowed to interfere with crooked Scottish lawyers slush fund? This is akin to handing them all Lottery Tickets after the draw has been made and asking them to fill in however many winning numbers they want and then paying them out again and again and again? This could only happen in Scotland! 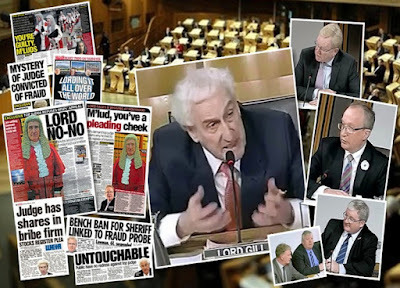 The way I heard it was that one notorious Law Society of Scotland Director said that, if that thorn in our flesh 'Cherbi' continues to be allowed to tell the Scottish People the truth about us, we will have the police at our door and no way of slipping away from the jail. So, on average every Scot's Tax Payer is paying £500 out of their pay packet to make Scottish lawyers life a bit Kooshier? Why are we bailing out these "struggling" lawyers none of them are struggling they are a bunch of robbers! I went to a lawyer to get help with my divorce and they said they would get Legal Aid for me and before I knew it, I got an Edinburgh lawyer added and a Counsel added. Why so many lawyers for a simple straightforward case? Who is being expected to pay for all of these multiple lawyers? Presumably the other side is the same, so I do not understand why two Scottish lawyers cannot deal with this instead of six? 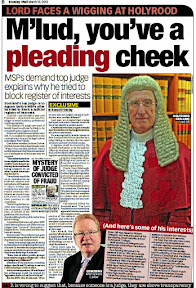 It seems like I am locked into a process where the Scottish lawyers are using my case to take a slice of the money cake? To me, it looks like these hangers on are lining their pockets and the client has no say in the matter and these Scottish lawyers are free to bury themselves in to the rich pickings like a leech into the fat belly of a dead duck? 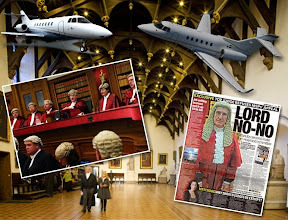 While the Scot's taxpayer grafts away trying to make ends meet, these fly by nights could be floating in their holiday home pool with a G&T in their hand laughing at us for allowing them to slurp the gravy from the Scottish Legal Aid Fund. Congrats on causing a big headache for us today you troublemaker! The BBC have become a broadcaster with an interest and an agenda.You may as well ignore much of what they say and in any case no one bothers to sit in front of a television to watch a 30 minute news show (lecture on their agenda). How about getting them to pay it back instead of the Law Society harping on about some never never root and branch change rubbish. 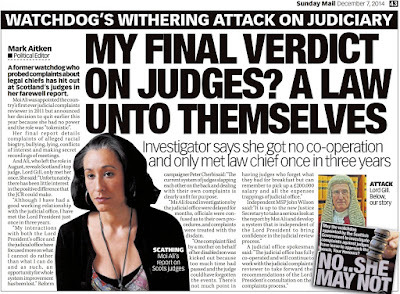 It is a national scandal that the Law Society of Scotland can manipulate this fraud and be totally above the law and immune from prosecution. Scotland is being dragged down into the gutter. Patterns of legal aid fraud emerging in what you say ... please email DOI with the details,identity of the solicitor etc and it will be looked into. The real truth about lawyers and you will only find it here not on the stupid tv or anywhere else.Dont bother to deny it people we all know this is what lawyers really get up to when they have a meal ticket client sitting in their office! Time are tough - not for lawyers!They always find someone to fleece! 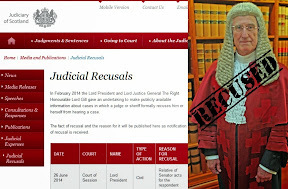 What are the Law Society proposing in all that blurb posted on the bbc website? Another Gill style review where they talk lots for two years and do bugger all at the end? 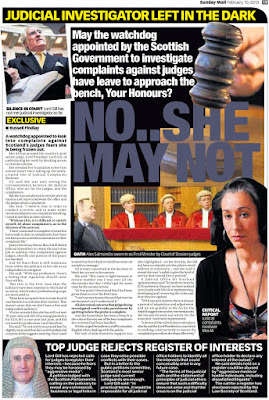 More of the usual expected from the legal profession - give us your money! Have to say Peter you really hit it on the head with this one.In a recession the last thing anyone including the state should be doing is wasting this amount of money on law firms in the guise of justice. 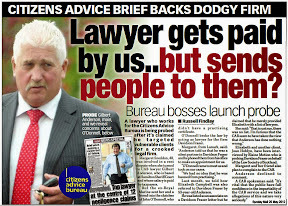 It is much more than just a bunch of lawyers stealing legal aid.There are plenty who feel some law firms faces fit better than others with the Scottish Legal Aid Board.All kinds of strange legal aid applications are passed from some solicitors while others cant get a penny on cases with much more backing or a potential ruling helping others in the same situation. This is an enormous waste of public money in a small country like Scotland.No matter how MacAskill or anyone else wants to justify this it cannot be justified.1 billion pounds spent on lawyers instead of public services is an absolute disgrace. This is a well practised fraud perpetrated throughout Scotland and is uniformly supported and abetted by the Law Society of Scotland, who never prosecute their thieving members for doing so? It is an unpunishable crime? The Law Society of Scotland are well practised liars and a propaganda machine who's main agenda is to deceive the Scottish Public? 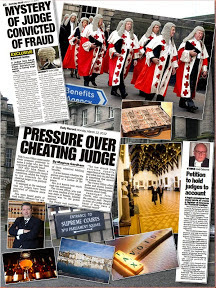 If the Law Society of Scotland's root and branch reform is anything like the con that is the Legal Profession Legal Aid Act 2007, which is being broken every single day by the Law Society of Scotland, then the people of Scotland will continue to get fleeced by these lawyers in capes who give Dracula a bad name? 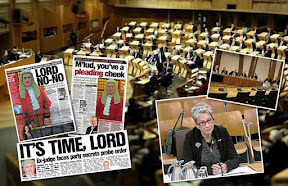 How law firms can soak up £1.4million each and more a year from public coffers while Scottish Ministers plead poverty on the NHS is an utter disgrace. 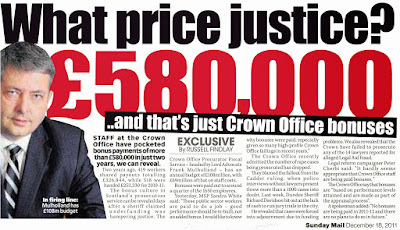 Scottish Judges and Sheriffs only get paid this much because they fix their own salary? 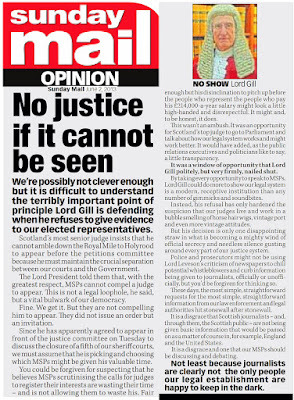 There would be far better access to justice for every Scot if we had a Judiciary and Scottish lawyers that were paid a fair salary commensurate to their level of skill and standards of service? If you assist the Law Society of Scotland in their campaign of hatred against the Scottish People then you will be handsomely looked after by the Law Society of Scotland via hand-outs from their Legal Aid Fund? When I read about all of the money that the Law Society of Scotland arrange for their members to steal from the Public Purse, I think of all the children and old people who continue to suffer in Scotland, with all of the food banks we need to have because this money has gone? These crooks have no conscience at all and would gleefully rob children of their future and old people of their health so long as Scottish lawyers can take ever more money from the Scottish People's pockets? 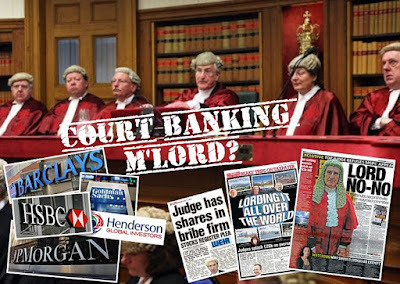 A nice round figure of 1 billion pounds public money theft for the legal profession.Make them pay all of it back! 10,0000 lawyers in Scotland including non practising lawyers and lawyers who are employed by businesses and who are not fee charging but are salaried. £150 Million Pounds a year of a slush fund. 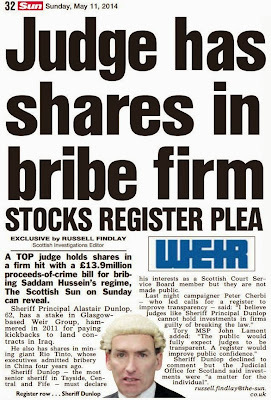 This equates to at least 15,000 per year for every single Scottish lawyer before they even lift a finger. It is about time the Council members as well as the office bearers of the Law Society of Scotland were arrested for facilitating this crime? 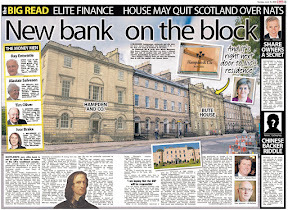 Then the Scottish Government can take back the money taken from the Law Society of Scotland bank accounts? 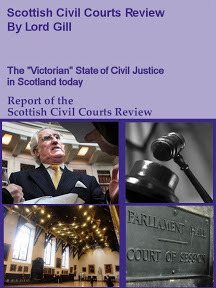 Thereafter, access to justice would be made universal for every citizen by scrapping the Law Society of Scotland's Scottish Legal Aid Board Slush Fund and then to set Scottish lawyers salary at a level that is commensurate with their level of skill and standard offered of a maximum of £20/hr for a Scottish Advocate and £10 per hour for a Scottish lawyer? And this is a generous settlement? Aye you have really upset the lawyers with this one! I can see why lawyers are not happy with the headline - a billion spent on liars after the banking crash is enough to make anyone question why legal aid even exists. A little surprised tonight to see Reporting Scotland and Reevel Alderson talking about the millions spent on legal inquiries on all sorts of stuff.Money makes the world go round? 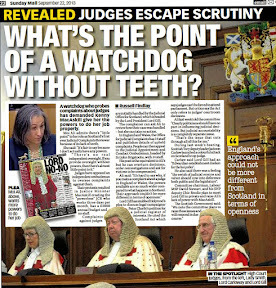 This is the second story from you in a few weeks I heard badmouthed by people who react that way when afraid of something.Feelings are your adding up the totals may cause others to think about the true cost of legal aid on the canny Scots public purse. 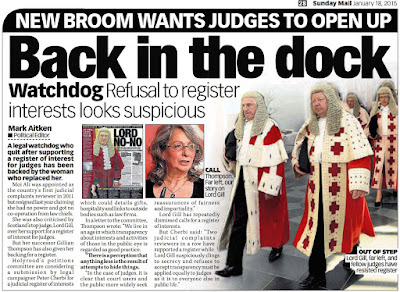 Anyway good work as usual and keep us up to speed on your petition about the interests of the judiciary - by far the best thing to happen in Scots law for decades. How about axe lawyers first??? What a nasty bunch they are!I remember on the news about the legal aid protests!! but the bbc left out the billions they are taking for it!! Not surprised because our lawyer has kept our civil claim going on legal aid for months has done bugger all about it and I have a feeling he is going to dump us shortly when the legal aid board wise up if they do! One of your most damning stories of the year and still being talked about by legal aid solicitors..
Claw it all back and build a hospital or three instead. Let's try and introduce some facts to this discussion. The vast majority of criminal cases are dealt with either in the Sheriff or Justice of the peace court. A solicitor is paid £485 per case in the Sheriff Court and half that amount in the JP. It's a fixed fee. It also includes representation at two deferred sentence diets if the accused is found guilty. The fees were £515 and £300 before cut by the SNP in 2007. The current LA bill for all legal aid, criminal, civil, children's, elderly, adults with incapacity, guardianships is approx £126m. From that can be deducted 20% VAT and payments to expert witnesses, mainly doctors, whose fees aren't restricted by legal aid and who regularly charge £60 for a letter and £180 per hour for preparation of a report. By comparison, in a murder case for instance a solicitor is paid £0.90 for a letter to a witness, including a stamp and £11.55 per hour for obtaining a statement. Legal Aid rates in Scotland are a disgrace and have not increased since 1992. As a nation we have to decide whether the poor are to allowed lawyers. By the way £1b runs the NHS for 1.5 days. It also provides access to justice for the poor in Scotland for 8 years, actually more given that 20% goes back to the government in VAT. No one likes legal aid - until they need it. Then it's a very different story.